Dr. C is greet & takes care of us greet! Jorge Castellvi is a skilled and experienced pediatrician caring for the Tampa, FL community. Dr. Castellvi attended the University of South Florida, where he received his medical degree. He completed his internship and residency in pediatrics at All Children's Hospital. Dr. Castellvi is a part of BayCare Medical Group. He is board certified by the American Board of Pediatrics. He speaks English and Spanish, which makes him accessible to patients from a variety of cultural backgrounds. Dr. Castellvi is dedicated to helping patients receive the treatment they need so they can enjoy a positive and fulfilling lifestyle. He is deeply committed to the well-being of his patients. 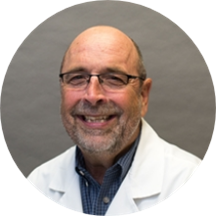 He is devoted to ensuring the longevity of his patients’ health and developing long-lasting relationships with them. He takes his time to understand symptoms and give correct diagnoses to ensure the continued health of all his patients. The visit was what we needed and in a timely manner. Dr. Castellvi always makes the appointment fun for the kids. Perfect! We could not be more confident in the knowledge & care from Dr. Castelvi. We love everything about Dr. Castellvi. Couldn't ask for a better nurse and doctor combination.